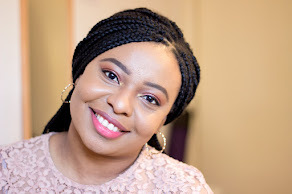 When I went to Nigeria in May, I wanted to try some Nigerian makeup brands because I had heard so much about them and I even tried some when I lived in Nigeria. The quality of Nigerian brands has improved tremendously. 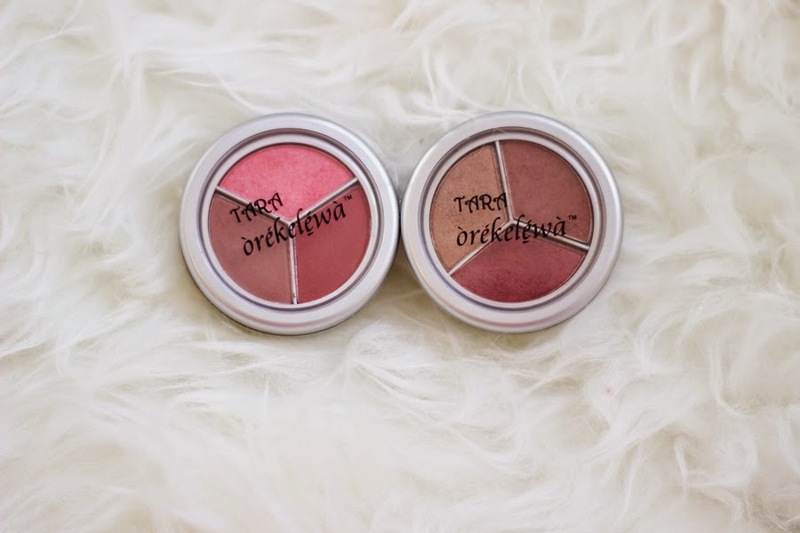 One of the forerunners in Nigerian Makeup is the Tara Orekelewa brand which was founded by Tara Fela-Durotoye. 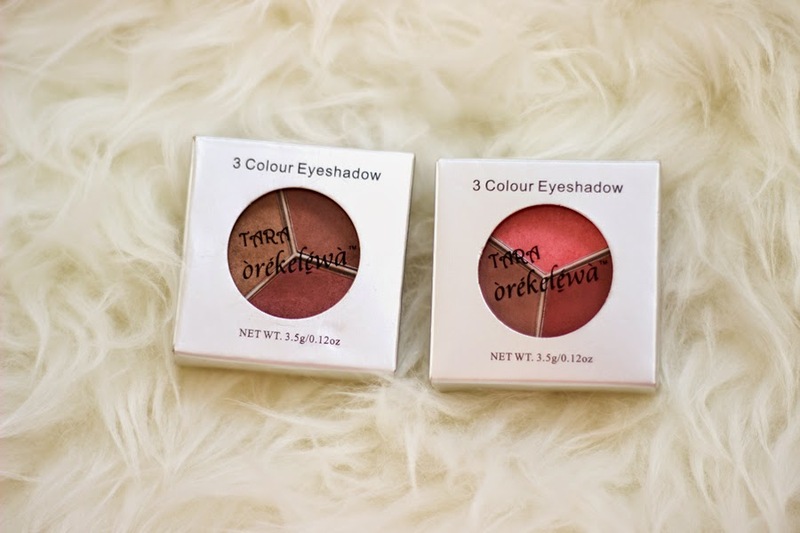 I was keen to try the eyeshadow trios from her range because I had read quite a few reviews about them so I purchased two of these trios from Kuddy Cosmetics-my one stop shop for all things beauty including Nigerian brands (I have a review on KuddyCosmetics here). Tara Fela-Durotoye is a Nigerian Makeup Artist and Lawyer who launched the first bridal directory in Nigeria in 1999. She is a trained and certified makeup artist who had her training in Charles Fox in Covent Garden London. She is a pioneer in the bridal makeup profession in Nigeria and has set up an international standard makeup studio and established the first makeup school in Nigeria. As you may have guessed, she is also the founder and CEO of House of Tara International and creator of Tara Orekelewa Beauty range, Inspired Perfume and H.I.P Beauty range. 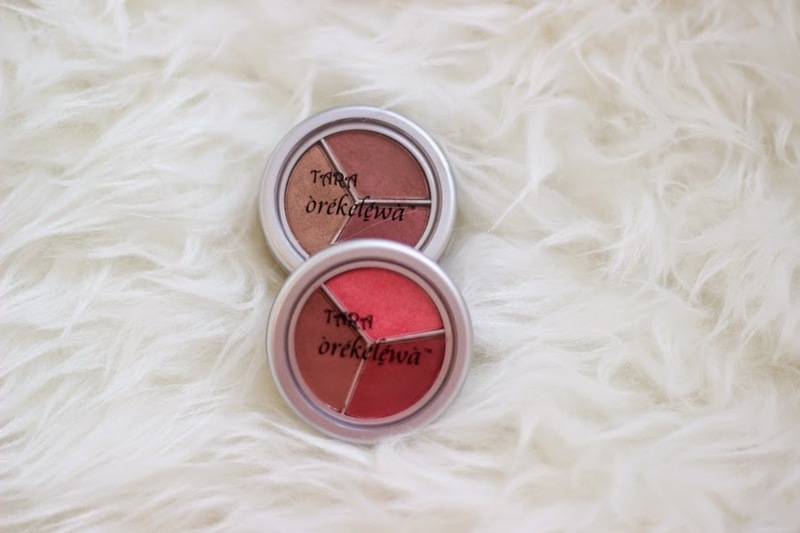 These eyeshadow trios are from the Tara Orekelewa Beauty range. I like how simple the packaging is because it is very easy to travel with. 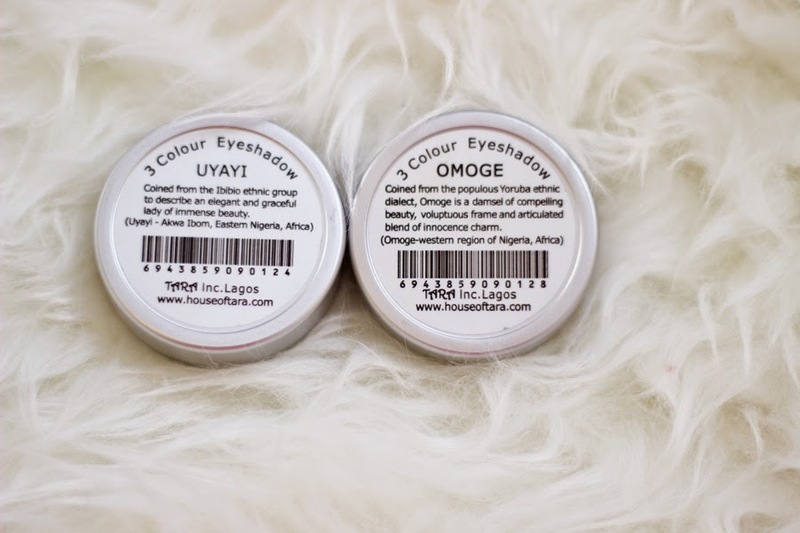 I got two of these eyeshadow trios in Omoge and Uyayi. I really like their names which are from two different tribes/ethnic groups in Nigeria: Yoruba and Ibibio respectively. It also has a description of the meaning of each name at the back which adds more character to the packaging. I have had this since May and it only has little scratches around it as you may see from the pictures which may be down to me. For a long time, I used Omoge almost every day so I can understand why. Despite getting a lot of use from these eyeshadow trios, I have not made a significant dent to it mainly because you get quite a good amount of product in each trio which is very good. I think Tara Orekelewa Beauty range may have revamped their packaging so this may be an older packaging but I still like it. 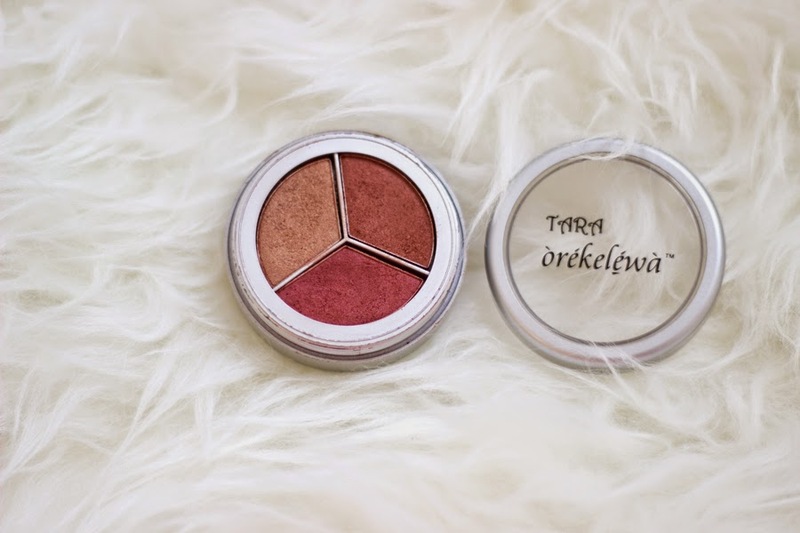 I was pleasantly surprised to see how pigmented these eyeshadow trios were but then again, I did not expect any less; it’s Tara so it’s well in line. No matter what you use to apply them, they show up really well but it is best to use an eyeshadow brush rather than your fingers. I have used this with and without a primer and the results are fantastic although I have to point out that without a primer; the lighter colours in the trios begin to lose their vibrancy at the end of the day so now I always use a primer. In terms of texture, they seem to have different textures and consistency. 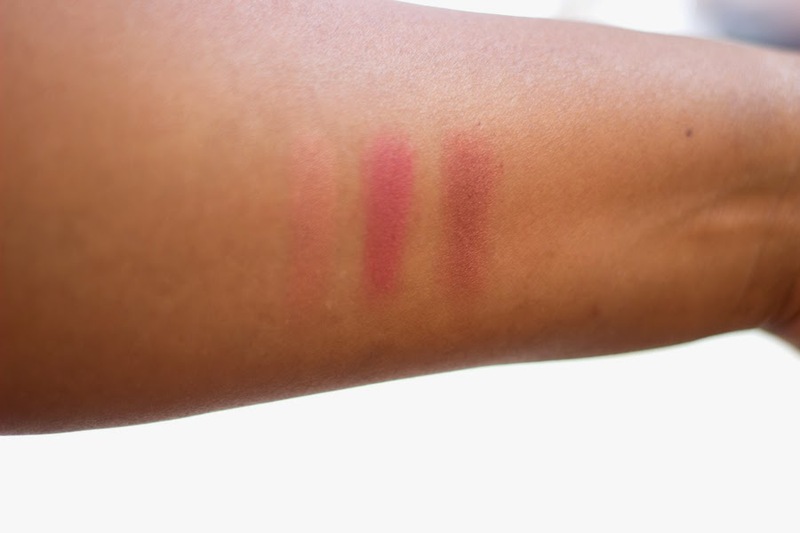 For the most part, the eyeshadows are matte and apply really beautifully. Their texture is medium soft and buttery with minimal fallouts but I noticed that each trio has one or more shimmer eyeshadows which have more fallouts than the matte/satin finish ones. But they also look somewhat more vibrant than the rest of the colours if that makes any sense. To combat this, I spray some MAC Fix Plus or Kuddy Cosmetics Makeup Fix* (you can use any mist) on my eyeshadow brush and that minimises any fallouts and further improves their vibrancy. 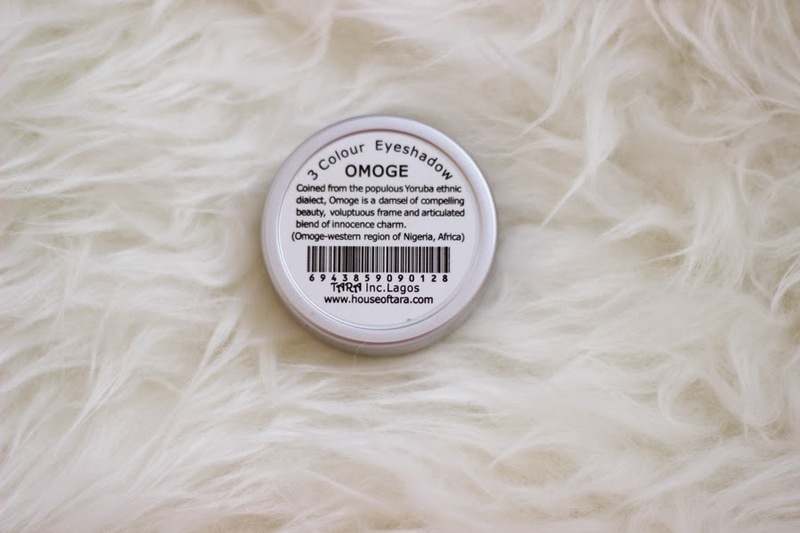 Overall, I love the texture, application, finish and longevity and I am well impressed. Coined from the Ibibio Ethnic Group in Nigeria,it describes an elegant and graceful lady of immense beauty. I love how Nigerian names have such lovely meanings!! 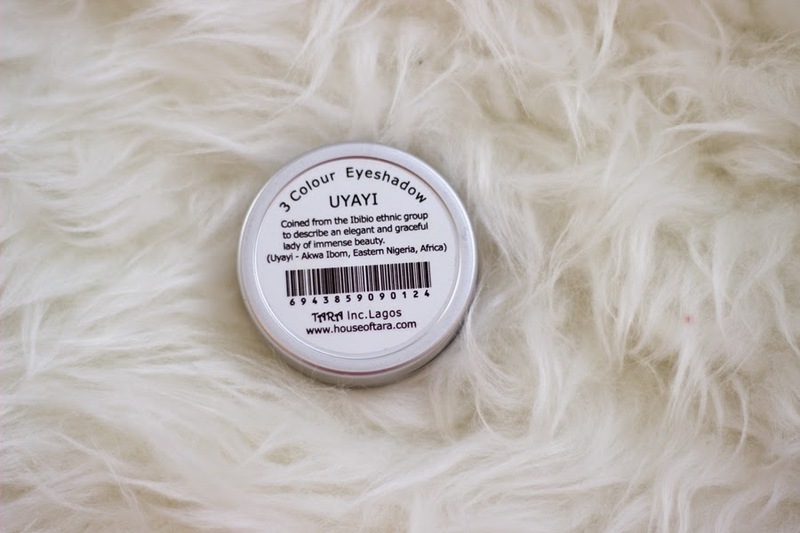 Uyayi has three eyeshadows which are not individually names but you get a bright pink shade with a shimmer finish; a medium brown shade with a matte finish and a brick red shade with a satin finish. I really like the combinations because you can create various looks with this trio. As mentioned earlier, they are perfect for travelling. 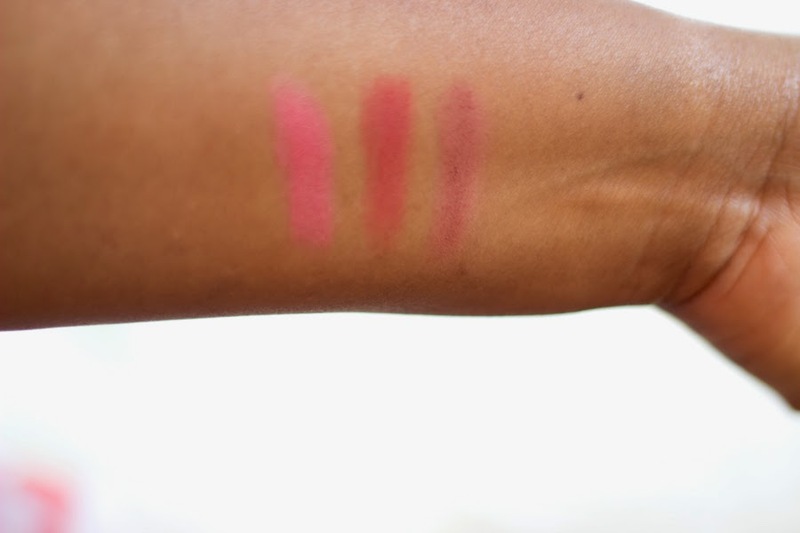 The pink shimmer shade is really vibrant and I love it; it makes me feel all feminine when I wear it. The medium brown shade is perfect for my crease and it is similar to MAC’s Cork eyeshadow but it is a little lighter in pigmentation. 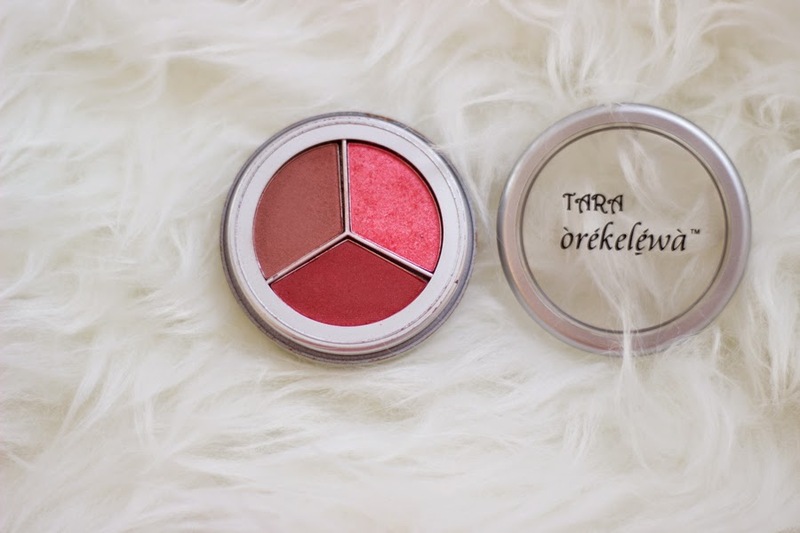 The brick red shade is perfect for the outer corners of my eyes especially when I have used the pink shade on my lids. I love wearing this during the weekends or when I am going out. Coined from the populous Yoruba thnic dialect, Omoge is a damsel of compelling beauty, voluptuous frame and articulated blend of innocent charm- what a lovely description!! This was the first eyeshadow trio I was drawn to because all the shades are so me and I have got so much use from this lil’ baby and the wear and tear to the packaging is a testament to this. It has more neutral shades which are perfect for everyday wear and they really look very flattering. In this trio, you get a light cranberry shade with hints of brown with a satin/light shimmer finish (that’s the best way I can describe this), a dark brown shade with a light shimmer finish and a frosted champagne shade with a shimmer finish which is quite similar to MAC All That Glitters. Although they look like they all have a shimmer finish, it is not unflattering and it accentuates my eyes and it is perfect for work for me because it still looks subtle yet demure. This is my all time favourite. You all know how I feel about brands that don’t ship internationally or are not easily available to buy outside Nigeria. It makes me sad so yeah, that is a major con for me. I have not seen the new packaging but I am guessing it is much better than this so I won’t mention that the packaging needs to be revamped. Other than that, I can’t think of anything I don’t like about these nifty eyeshadow trios.